Sometimes, we may have such a scenario. 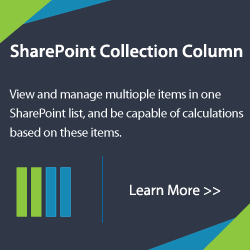 There are several lists on SharePoint site, and they contain the same columns and values. 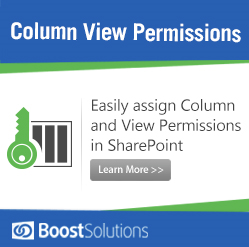 It’s time-consuming to keep the column same manually. 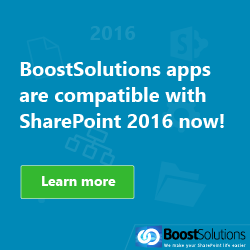 We can configure a workflow or event handler to do it, also you can choose a tool to complete it, such as BoostSolutions List Sync. In this blog, I will introduce how to sync data between multiple SharePoint lists using this tool. 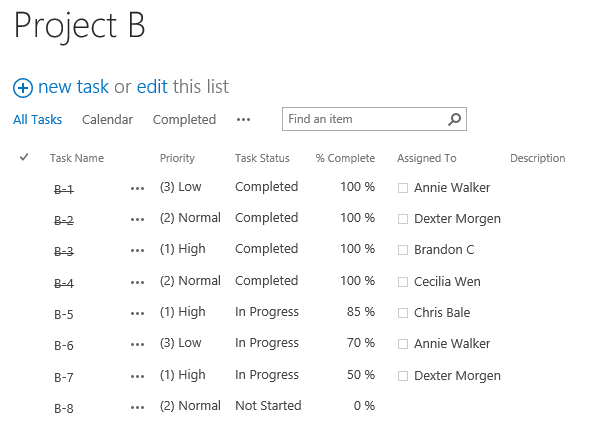 There are three SharePoint lists, Project Summary list, Project A list and Project B list. 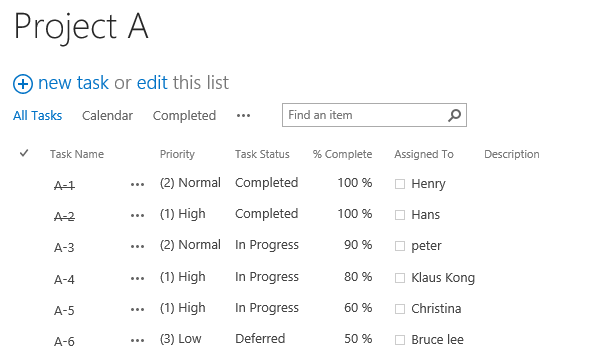 Project A – This list contains the details for Project A, such Task Name, Status, Progress, Assigned To, % Complete, Descriptions and more. 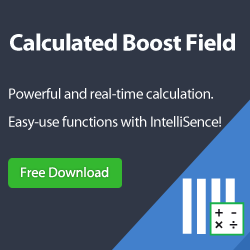 Project B – This list contains the same fields with Project A list. Project Summary – This list contains the summaries about Project A and Project B list, such as Task Title, Status, Progress, Percentage, these fields are same as Project A and Project B lists. And it contains other fields, such as Evaluation and Analysis. 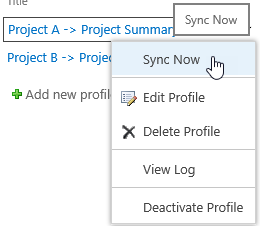 To enable Project Manager to track the tasks of these two projects in one view easily, now I want to sync the In Progress status tasks from Project A and Project B lists to Project Summary list. First of all, I create a profile in List Sync Main settings page. 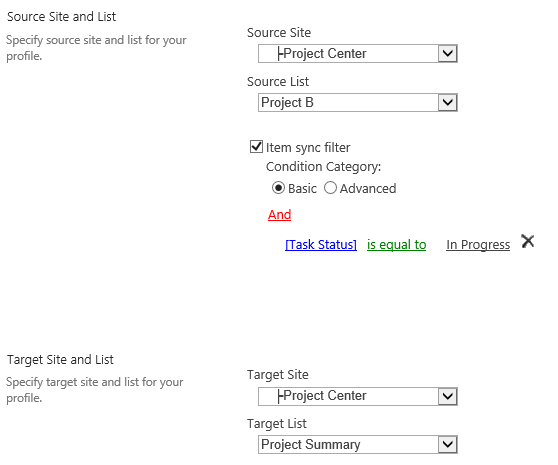 Select Project A list as the source list and select Project Summary list as target list. Under Source Site and List section, specify the condition as “[Task Status] is equal to “In Progress””, which means that only “In Progress” tasks will be synced to the Project Summary list. Next, map the columns between these two lists as following. And then save the profile. 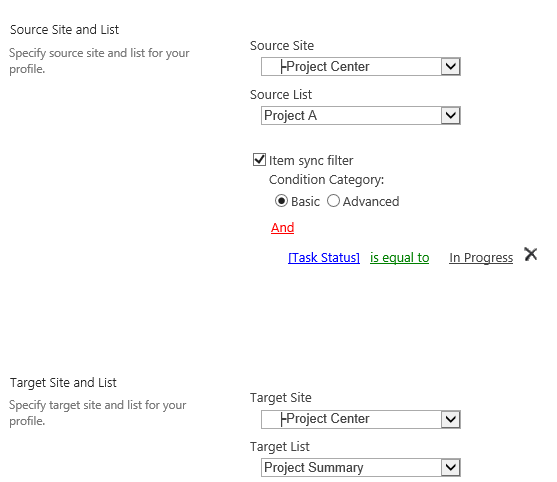 Create the second profile, select the Project B as the source list and select Project Summary as the target list. Configure other settings as same as first profile, and save the profile. Finally click Sync Now command of each profile. 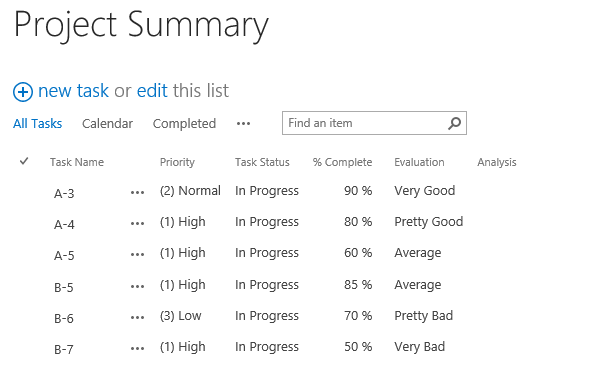 Then, the In Progress tasks of Project A and Project B lists are synced to the Project Summary list as following.